Once more the Great Lakes Region is shaken by enormous clashes between rebel forces and official soldiers of the Congolese army. For days, the border region of the DRC and Uganda is the scene for heavy fighting. 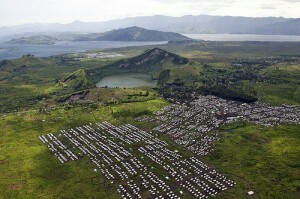 Meanwhile tens of thousands fled the war zone and seek refuge in neighboring Uganda. It remains to be hoped that the new clashes in the DRC’s forests will not push the region into another disastrous period of long-lasting warfare.